– and other unwanted inhabitants. Do you struggle with digestion issues, bloating, gas, stomach aches, candida, fatigue, low immune system or other symptoms that the doctor has no solution to? Then perhaps you may have parasites or a gut filled with bad bacteria. So how do you find out? 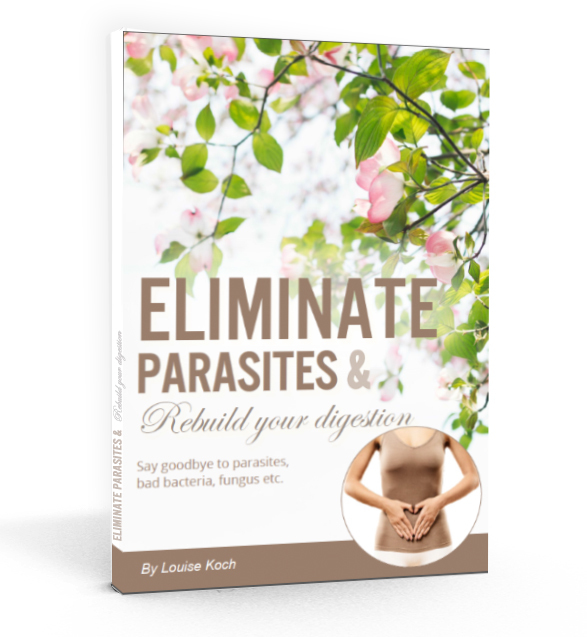 In this ebook I share all the research and knowledge I have gained while ridding myself of parasites and it is simply life saving information. I will share tests, tools, treatments, tips and information that can help you get the health and digestion you dream about. The ebook (pdf) is about 50 pages long and can be downloaded to any device as many times as you like. This ebook is on sale because it is a quick translation of my Danish ebook and has not yet been proof read.